Land and forest resources are the main natural endowments of Coast Region hence economic activities comprise of forestry, hunting, beekeeping, fishing, mining and wildlife. Among others, forestry sub- sector plays an important role in maintaining ecological balance, protect soils from erosion and conserve water and wildlife. Coast Region like other regions, used to have a large forest cover. Due to human economic activities the present forests are in greater risk of being depleted due to the demand for firewood, timber and other human activities such as agricultural expansion as the population increases.As table 3.30 shows, Pwani region has a total forest area of 2,500,000 ha. Out of which 380,514.02 ha are reserved and the remaining 2,119,485.98 ha falls under general public forests. Although the status of encroachment was fair in most of the forest reserves, it was severe in some reserves such as Uzigua Forest Reserve, Kikoka, Mangrove, Kibindu and Ngubura-Kidomole Forest Reserves in Bagamoyo DC; in Kisarawe DC forest reserves with severe encronchment were Kisanga, Ruvu and Kazimzumbwi Forest Reserves; in Mkuranga DC forest reserves with severe encroachment were Masanganya, Vikindu and Marenda Forest Reserves; in Rufiji DC those with severe encroachment were Mangrove Forest Reserve and Ruhoi Forest Reserve. The presence of forests and bushes in the region enables some species of animals to be found in the region. Pwani region owns one national park (Saadani National Park), one game reserve (Selous Game Reserve), two wildlife management areas (Wami-Mbiki & Ngarambe/Tapika WMAs) and an island marine park (Mafia Island Marine Park). Saadani National Park is located at the centre of the historic triangle of Bagamoyo, Pangani and Zanzibar. It has an area of 1100 square kilometers. It is the only wildlife sanctuary in Tanzania bordering the sea. The climate is coastal, hot and humid. It offers a unique combination of both marine and mainland flora and fauna in a culturally fascinating setting. About 30 species of larger mammals are present as well as numerous reptiles and birds. Besides, many species of fish (over 40), green turtle, Humpback whale and dolphins are also found in the nearby ocean. 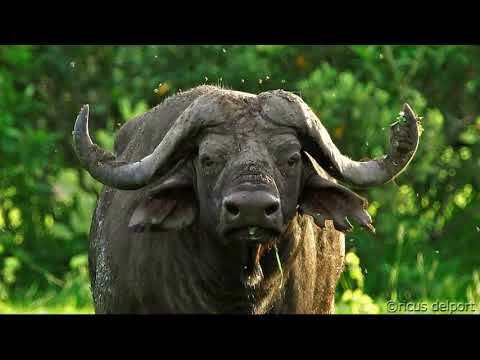 Seleous Game Reserve is found in southern part of Pwani region and it covers a greater portion of the southern parts of Rufiji District and a small part in Kisarawe District. It covers an area of 6,258 square kilometers in Rufiji district and 255 square kilometers in Kisarawe district. Animals found in this Game Reserve include lions, giraffes, buffalos, zebras, antelopes, rhinos and hippos which are found in Rufiji River. This Game Reserve is an important attraction for tourists and generates foreign exchange. The most common tourist attractions available in Selous Game Reserve include: camping sites such as the Stigglers Gorge, Mbuyu Camp, Mloka Camping site, etc. Other attractions are game viewing at various other tourist centres. Mafia Island Marine Park covers an area of 212 square kilometers and this park is a purely marine in nature with different marine species such as coral, tropical fish and sea shells. This park also is an important attraction to the tourists as white sands which covers 85 percent and artisan and sport fishing are found. Concerning sport fishing, whale shark is in Kilindoni and Chunguruma and fish bank is found in Utende. In the region, there are two Wildlife Management Areas (WMA) namely WAMIMBIKI which covers Bagamoyo, Morogoro and Mvomero districts. Another Wildlife Management Area is Ngarambe/ Tapika which is found in Rufiji district council. Wami-Mbiki WMA covers an area of 2,500 square kilometers with a 1,500 square kilometers village land buffer zone area. The area is found within three districts of Bagamoyo, Morogoro and Mvomero. The area is formed by 24 village land that has come together to form a Wildlife Management Area. Wami Mbiki is a game corridor between Selous, Mikumi, Saadani, Pangani and Kilindi, and has resident populations of lion, leopard, elephant, buffalo, giraffe, kudu, hippos, Lichtenstein Hartebeest, crocodile, zebra, water buck, bush buck, warthog, impala, Sunni, duiker, eland, sable, hyena, baboons and an assortment of monkeys. Some rare animals seen are African wild dog and cheetah. And at night civet, jennet, bush baby and wild cat can be seen.